It has to be said the first impression of any new Extra is the finish, its absolutely perfect and 100% faultless inside and out. Honestly no other company produces such a perfect finish to their aircraft. This is my first flight in the 330LT with mostly a glass cockpit. I’m used to the Aspen avionics however not the Garmin GTN 650 combination radio/transponder/GPS map/ VOR/ fuel computer etc. It’s also touch screen. This is the first time I’ve used one of these so whilst the engine warms up and I taxi its a case of finding the “go-to” button and setting up the first way point, COA (Costa). Not so difficult. Take-off in the 330LT is far more sprightly than the other 2 seater (300L) that I’m used to flying. 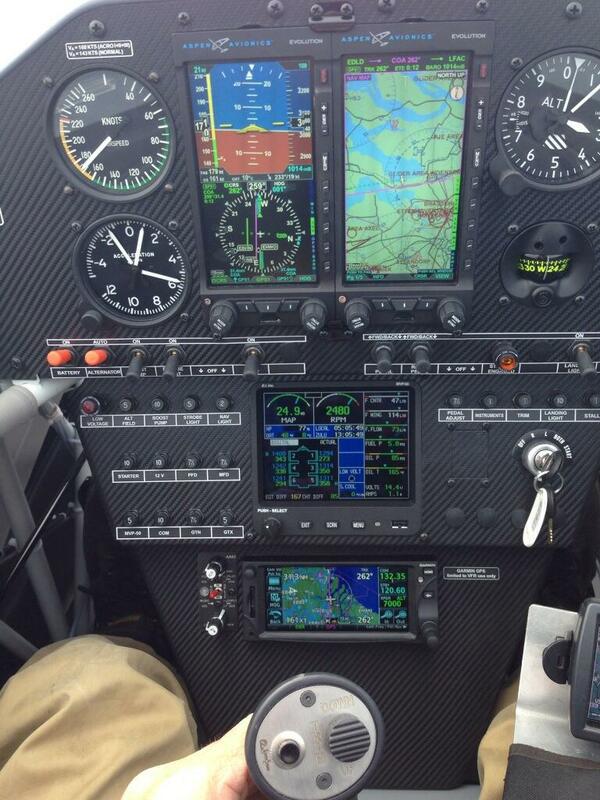 Climbing with full fuel returns 1850 fpm at 90 kts. Not such a steep angle as my 330SC but still very impressive. Taking off following the RV6 that delivered me to Dinslaken I soon caught up having set a high power cruise. Its critical this being a new engine as it needs running at high manifold pressure to encourage the piston rings to bed in. This will determine the oil consumption and power for the engine’s life. 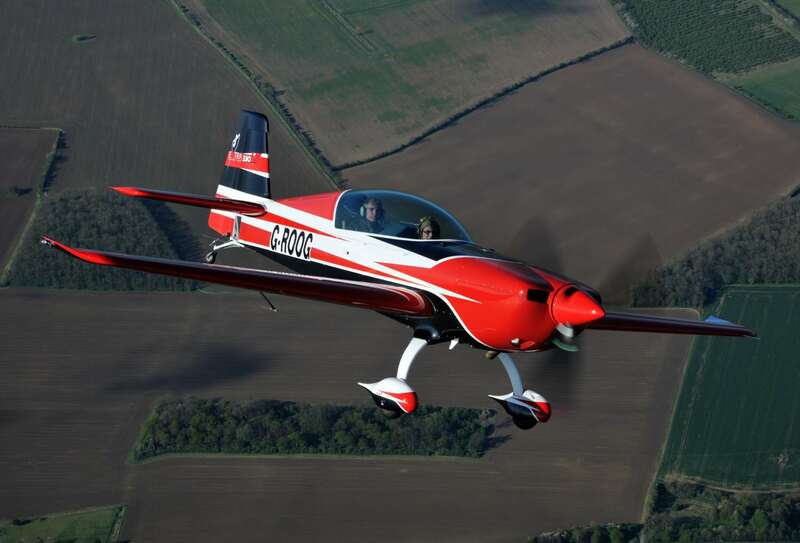 Constant “S” turns behind the RV6 soon got monotonous so it was a straight line to COA VOR just inside Belgium. Quickly a TAS of 180 kts appeared on the Aspen display. 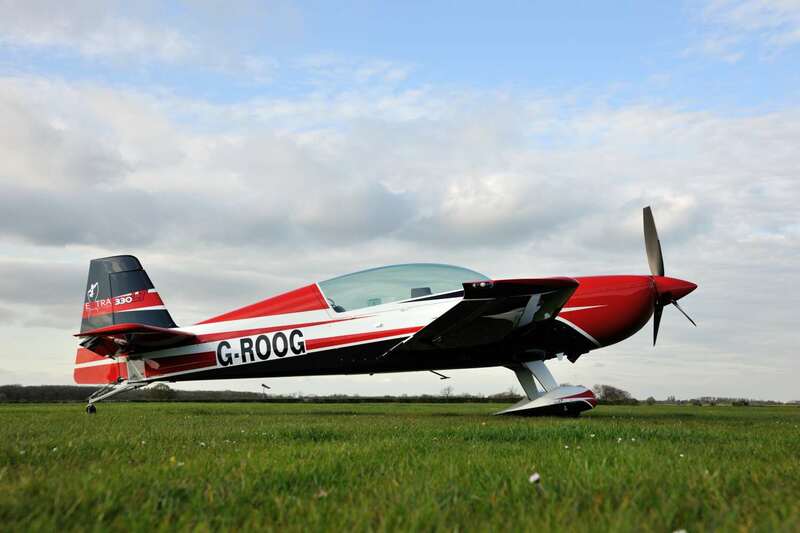 Quickly the various CTR’s came and went then it was time to join the circuit at Gransden. However before landing it was time to explore a little of the abilities of this race horse. 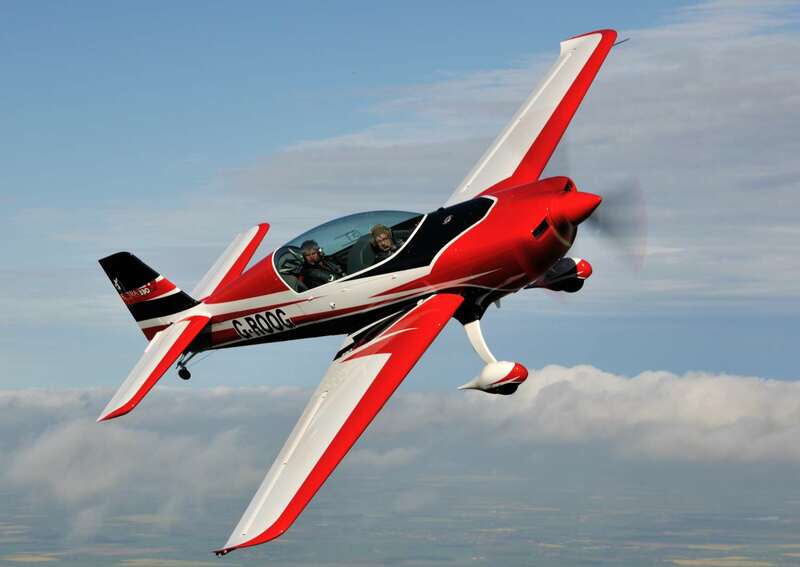 The term LT (Low wing Tourer) hides the fact that this aircraft is actually stressed to +10 – 10G and is fully aerobatic. 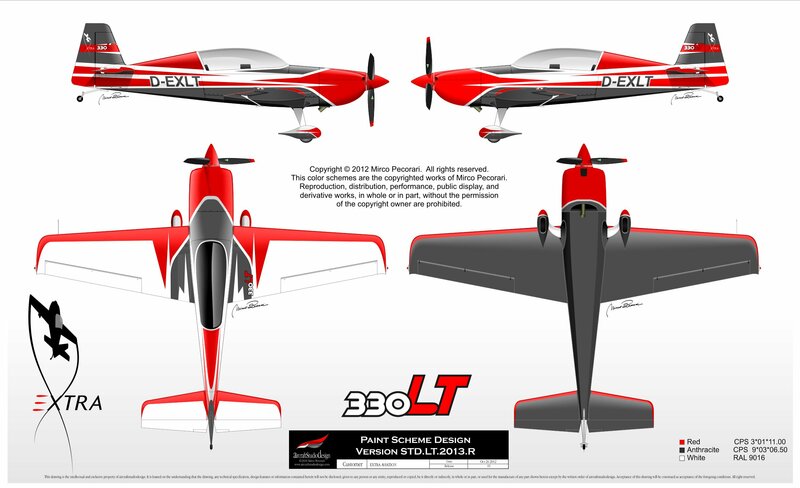 Admittedly its not like the 330LX or 330SC in terms of control reaction but it’s way ahead of any Pitts for example. Aerobatics The pitch forces are a bit higher than the other thoroughbreds in the series .